Defining the look of homes since 1998, Aerostone works with Hebel blocks to offer their diverse range of external architectural features. Prior to 2003, Aerostone dealt under their entity name, Linear Architectural Systems, as the exclusive Hebel distributor for Western Australia. Founder and Managing Director at Aerostone, Bruno Staltari explains; “originally we were involved with CSR Hebel as distributors being under the standard arrangements for distributing blocks and panels”. “In Western Australia it was difficult to move the product into the market as a building material, so with contacts I had at CSR, we started exploring having the blocks applied as decorative features on homes. Using Hebel for external features fit the building ethos of the area which is otherwise focused on brickwork and masonry,” Bruno explains. Over time, Aerostone developed machinery that could shape Hebel AAC blocks into various profiles for moulds in an economically-efficient manner. 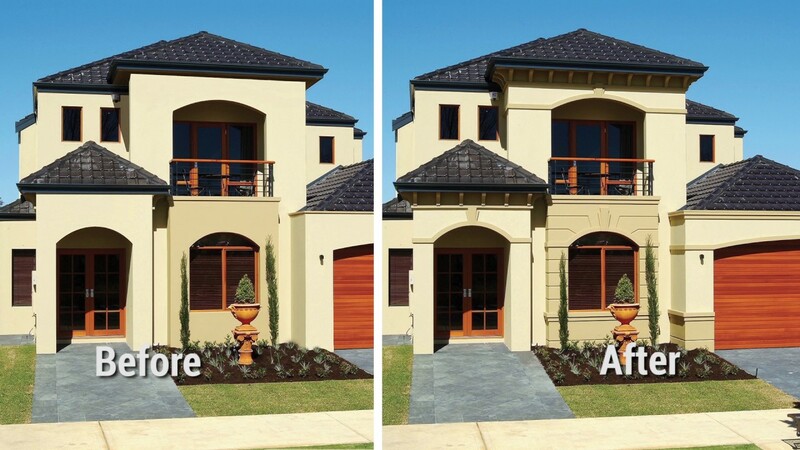 “That became our main push into the marketplace and now we service around 80% of Western Australian residential builders with features such as banding and window surrounds,” Bruno says. “Many project builders have been using us for the last 15 years, which speaks volumes on the quality of the product,” he adds. Bruno says that Aerostone gets a large amount of repeat business from project builders who want consistent finish and quality throughout their builds, from the display home to the client’s home. Bruno explains that Hebel is ideal for their product offering – working with a solid block to start with means they can produce the product very quickly for both residential and low rise multi-residential developments. “We’re not casting anything or using a mould, we simply run the material through the machine and then it’s ready to go to site. Turnaround time is very quick”. Aerostone’s range is also very extensive with around 100 production items, most of which can be modified or altered to some degree.